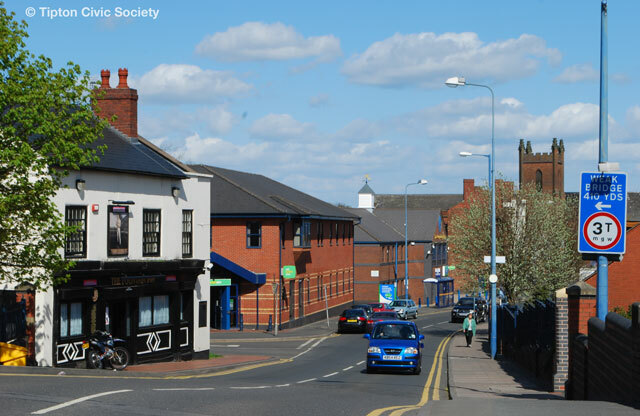 The Tipton Civic Society was formed in 1988 to promote interest in the history, heritage and identity of Tipton and to campaign for higher standards of environmental quality and awareness. The Society is a voice for the old independence and pride in Tipton and for its future wellbeing. Playing a major role in the establishment of the Tipton Community Museum. Leading the campaign to save the old Tipton Library, now the Tipton Carnegie Centre. Celebrating the town’s history and achievements by erecting a series of blue plaques. Commemorating the millennium by erecting the Neptune Anchor in recognition of the town’s old heavy engineering industries. Suggesting new street names with a local significance, around 150 of which have been accepted by the Local Authority. Working with the Local Authority on the production of Heritage Trails. Organising, from 1991 to 2013, the annual Tiptonian of the Year Award in recognition of voluntary and charitable work by Tipton people. Organising, since 2010, the annual Tipton Christmas Tree of Light Appeal to raise money for local charities. The Society produces a quarterly newsletter and holds monthly talks and slide shows with a local flavour, together with other varied social events. Membership is open to all, Tiptonians or not, who have a genuine interest in the town, irrespective of nationality, religion or ethnicity. The Society is non-political, non-sectarian and independent of any other organisation, but is a member of Civic Voice, the national charity for the civic movement in England.